5 Things I'm Loving Right Now (March 2013) ~ Learn, Live, and Explore! Here are the five things that have caught my attention recently. All but one are fashion related because there's something about spring and changing from the heavy and dark clothes of winter into fun and lightweight spring clothes and accessories. 1. 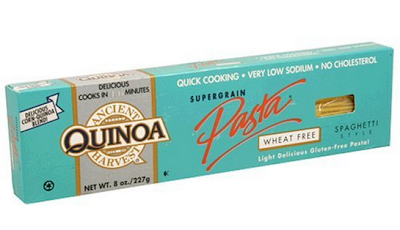 Quinoa Pasta - higher in protein and I almost think it's just as good or better than standard pasta. 2. French Connection Pumps in a great shade for Spring! I actually found that they didn't work on my feet, but the ballet flat was a really cute alternative. 3. All of the Helmut Lang sweaters that Lea Michelle's character has been wearing on Glee this season. Casual and chic! This one was from the recent "Guilty Pleasures" episode. You can find a few of them on ShopBop. Others are older and would have to be searched for on eBay. 4. Knits from Ella Moss. Seriously the softest cotton knit fabrics out there, it seems! 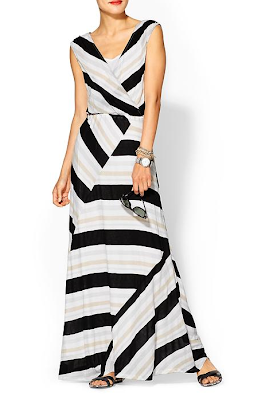 I especially like this maxi dress from her Spring collection. 5. 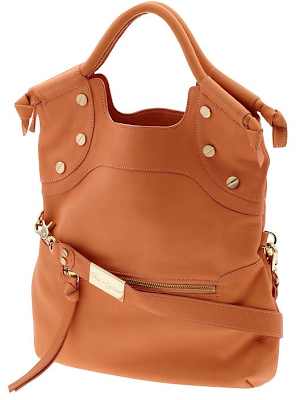 These floppy leather cross-body tote bags are fun and sophisticated. The FC Lady Tote by Foley + Corinna come in several colors so you can find one that suits your preferences!